West Ham offer new deal to Winston Reid Arsenal and Tottenham target Winston Reid has been offered a new deal by his side Winston Reid, as per Metro reports. 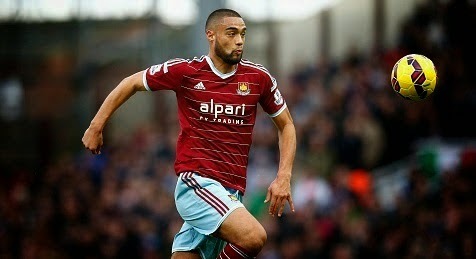 Arsenal and Tottenham target Winston Reid has been offered a new deal by his side West Ham United, as per Metro reports. The centre-back was heavily linked with a move away from Upton Park in the winter transfer window. London sides Spurs and Arsenal were keen to sign him but decided to wait for the summer window as he will be available for free if he denies to sign a new deal. Metro reported that West Ham United co-owner David Gold is still confident that Winston Reid will sign a new deal despite of strong interest from the London sides. The 26-year-old New Zealand skipper is reportedly keen to leave the club for a better side. However, West Ham are keen to keep their star man who has been a vital player in the recent seasons. He has made 115 Premier League appearances since joining the East London side in 2010. Arsenal sealed the deal of centre-back Gabriel Paulista from La Liga side Villarreal last month, they might take their interest back but Spurs are still keen to land the player in the summer on a free transfer.